Hello there and thank you for stopping by today. My first card today uses the amazing Fancy Flowers stamp set and Die-namics. I framed the sentiment with the Gift Box Cover-Up and Framed that with the Single Stitch Line Rectangle Frame. 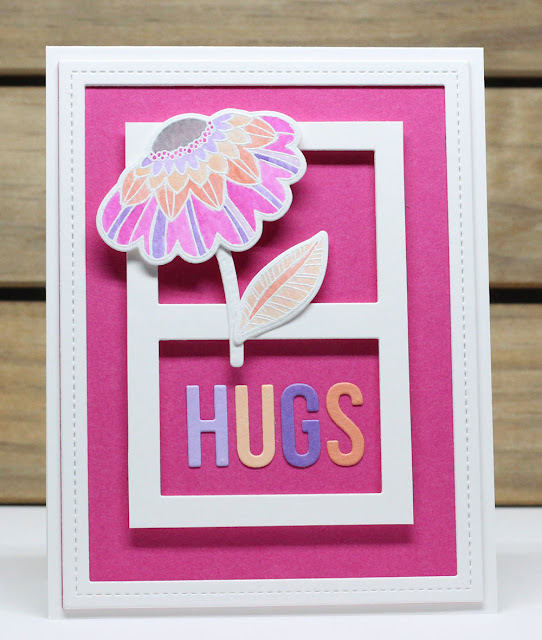 I used the color palette of card stock that comes in the kit as inspiration for the watercoloring. 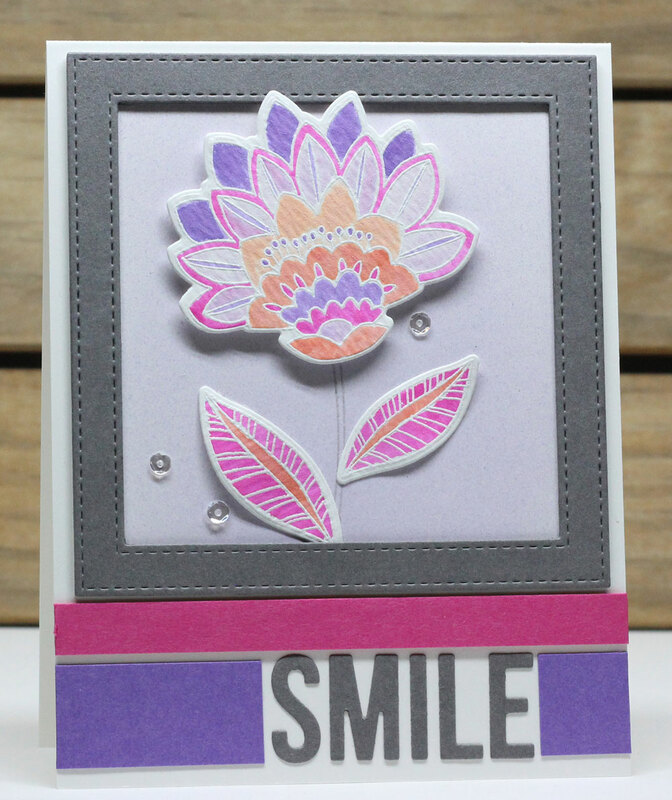 My next card today features the stamp sets and coordinating Die-namics, as well as the Words for Friends Die-namics. I framed the flower with a Stitched Square Frame and added some strips of card stock framing the sentiment below. I love your embossing and watercoloring. Pretty color choices for one of my favorite techniques! Beautiful cards! Love the colors.